My friend, Karen B., gifted us a free semester class via Landry Academy, a website that offers online learning opportunities. We’re happy to be using the gift this semester with an online chemistry class for Olivia. She’ll be taking the live 1.5 hour class weekly, from her computer, on Thursday afternoons. The first class was this week, and she really enjoyed it. 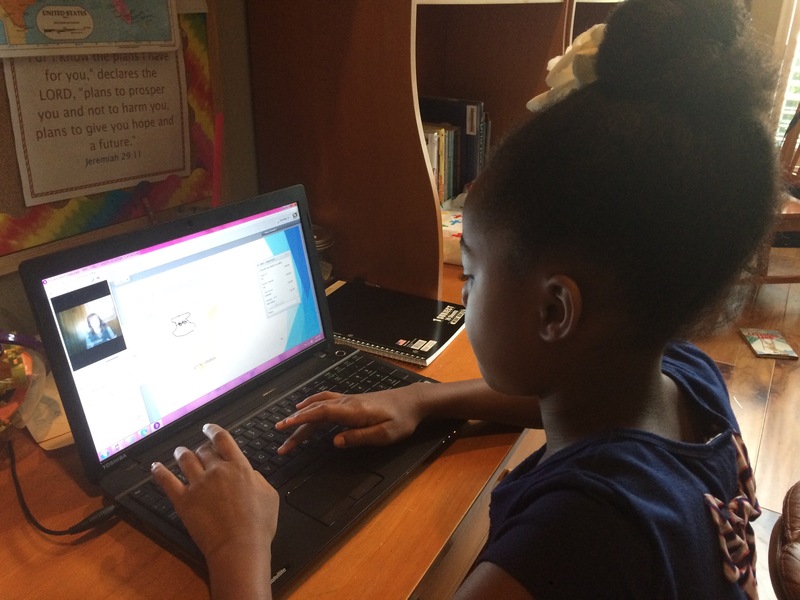 She watched her teacher via video, and she got a chance to contribute via text chat and verbally from her computer’s microphone. It’s going to be a fun class with even hands-on labs!